Famous for his chart-topping 2014 electronica album Built on Glass, this Australian musician also released a critically acclaimed 2012 EP titled Thinking in Textures. His equally-popular 2013 single, "Drop the Game," rose to #1 on Australian indie music charts. 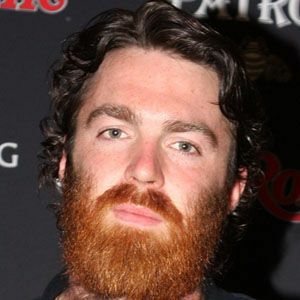 At the start of his music career, he played for bands called Sunday Kicks and Knicks and often performed under the alias of "Atlas Murphy." His numerous honors include a 2012 Rolling Stone Australia Award, a 2013 Australian Recording Industry Association (ARIA) platinum designation, and a 2012 Australian Independent Records Breakthrough Artist Award. Born Nicholas James Murphy, he grew up in Melbourne, Victoria, Australia. His cover of Teddy Riley's and Chauncey Hannibal's R&B hit "No Diggity" played a prominent role in a commercial aired during the 2013 Super Bowl.